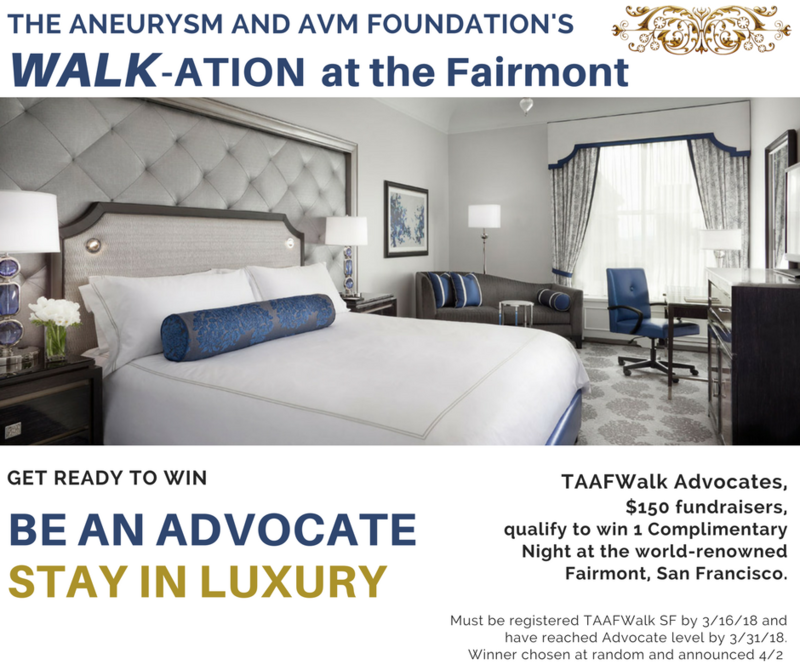 TAAFWalk Advocates, $150 fundraisers, qualify to win 1 Complimentary Night at the world-renowned Fairmont, San Francisco. Must be registered TAAFWalk SF by 3/16/18 and have reached Advocate level by 3/31/18. Winner chosen at random and announced 4/2. Click the link above and get ready to win!